If you watched the Equitrekking Alaska episode, you were able to meet Bree Bardarson, who took me horse riding on the Kenai Peninsula. 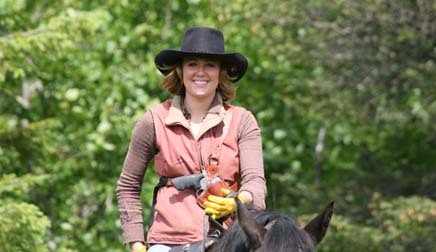 Hear more about her life leading travelers horseback riding in Alaska. Equitrekking: Your horse Max caused quite a stir among viewers who watched the Equitrekking Alaska episode. He’s so big and striking! How is Max and why is he so good on the trails in Alaska? Bree Bardarson: As you can tell from his presence, Max is the boss of the trail and every everything around him. His job is to protect me, my clients and his all his buddies that line up behind him. I couldn't imagine doing what I do without him. His dominance is what makes him so good on the trails. Equitrekking: Wildlife is abundant in Alaska. What has your most exciting wildlife sighting? Your most harrowing? Bree Bardarson: Most exciting wildlife experience was a young bull moose who decided he wanted to join the string of horses as a trail riding moose and joined the end of the line of horses and followed in line for a mile or so until food distracted him. Most Harrowing was a mother Brown Bear with her two cubs who decided to challenge Max and the rest of the gang. My gun was drawn and Max was putting on a show standing proudly in front of his buddies protecting them and us (pounding the ground with his front hooves, and snorting back at the mother Brown Bear). Needless to say the gun was put away unused, and Max won the face-off. 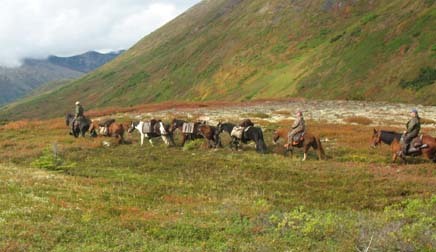 Equitrekking: What was it like to grow up riding horses in Alaska? Are there any particular memories that stand out? Bree Bardarson: Riding horses in Alaska was a wonderful way to grow up and learn responsibility. Starting in kindergarten all the way until 7th grade, my dad took my sister and I and all our friends to the first day of school in a horse drawn carriage he built. I hope I can do something like that for my kids someday. 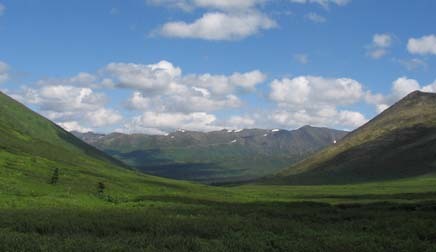 Equitrekking:What’s your favorite part of those long summer days in Alaska? Bree Bardarson: Best part of the long summer days is there is always something to do all 24 hours of the day! Equitrekking: What is most surprising to travelers who ride with you on a multi-day trip? Bree Bardarson: How secluded and large Alaska really is and its phenomenal beauty. 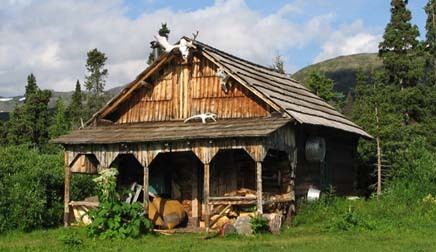 You can join Bree on trail riding vacations into the Chugach National Forest to her family's cabins, which are on the National Historic Register, on the Alaska Horse Riding Vacation, a great compliment to an Alaska cruise or other Alaska excursion. Contact us for more information and to book one of these special riding vacations.